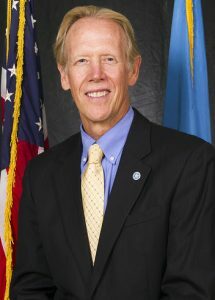 A change was announced in the leadership of Oklahoma Department of Education. 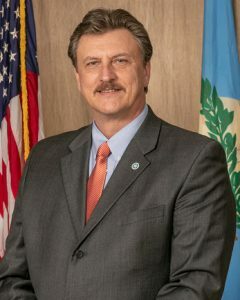 Long-time ODOT Director Mike Patterson will retire in April, and the ODOT board selected the Oklahoma Turnpike Authority Director Tim Gatz as the new ODOT Director. 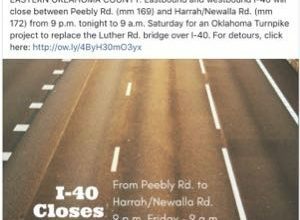 The announcements came after the February ODOT meeting. Gatz will also keep his OTA job, according to a news release. Oklahoma Turnpike Authority Executive Director Tim Gatz was introduced as Gov. Kevin Stitt’s newly-appointed Secretary of Transportation. Following a brief executive session at the end of the meeting, the commission voted unanimously to name Gatz the new ODOT Executive Director effective April 1. He will succeed Mike Patterson, who has served as ODOT’s Executive Director since 2013 and is retiring after a nearly 40 year career with the agency. Gatz will retain his current position on the governor’s cabinet and at OTA in addition to his new role at ODOT,” from a release from ODOT. According to Oklahoma Watch’s database of state salaries, Gatz earned $152,600 as OTA Director in 2018 and Patterson earned $160,127. Gatz began his transportation career in 1990 as a Draftsman at ODOT and was named Deputy Director in 2013. 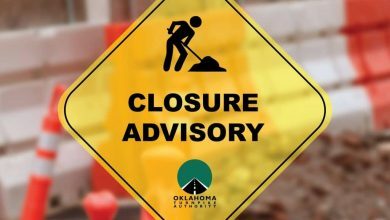 He left ODOT in 2016 to head OTA in the midst of its expansion program including the Eastern Oklahoma County toll road under construction. ODOT Director Mike Patterson will retire in April after 40 years. Outgoing ODOT Executive Director Mike Patterson began his career with ODOT nearly 40 years ago, when he joined the agency as Deputy Comptroller in 1980. He subsequently served as Comptroller, Director of Finance and Administration, Deputy Director and eventually Executive Director. In 2017, Gov. Mary Fallin appointed him Secretary of Transportation. Best to keep the corruption housed under a singular roof. Thanks to Gov. Stitt and his appointed commission for doubling down so early in the game. We now know who’s playing at the People’s Table and the People must now take a hit in hopes to survive. Here’s to dealer with an honest deck or the Pit Boss willing to end this charade.